Nickel Overlay Coating is employed in caustic soda application. The nickel overlay coating is performed on inferior base material to enable cost reduction without compromising on the final use of the product. The overlay is performed using GMAW, SAW & GTAW process. 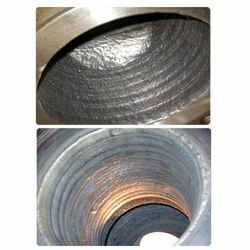 The overlay is tested by PMI to provide Fe% less than 5% in the final weld deposit. Zinc nickel plating has the ability to offer outstanding corrosion protection, especially when subjected to high temperatures. It is used extensively in automotive under body applications where its temperature and corrosion resistance are vital. Our firm is rendering Zinc Nickel Coating Service. To implement this service, we have selected a skillful team of professionals who hold prosperous acquaintance of this area. Furthermore, we render this service as per the details provided by our honored consumers. Apart from Nickel & TAP 2 Coating, Mipalloy Nomura Plating Company offers other type of Specialty coatings to suit specific needs of customers. Please Contact our product specialists to know more. Mipalloy Nomura Plating Company Private Limited does refurbishment of used Continuous Casting Mould Plates with Nickel & Patented TAP-II Coating for Steel Industry. Application: As a Decorative Coating. As a Barrier Coating. Features/Benefits: Palladium Nickel Alloy deposit containing 80% Pd and 20% Ni. Deposit is White, Bright and Ductile yet hard. 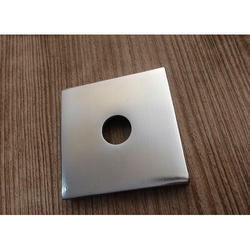 Can be used as a White Finish matching the color of Stainless Steel in Watch and Optical Frame Industry. Also used as an Intermediate Coating for Ion Plating to increase Corrosion Resistance.